Chef John Gargone has worked for many years in the finest Hotels, Country Clubs, Casinos and Restaurants in the country. It was the training in working efficiently and his acquired and developed production methods which gave John the insight to develop a system that would aid in the clean up and bagging of leaves, litter and debris. After purchasing a large wooded area that was covered with leaves and debris for several seasons. John was left the task to clean it up. The area could not be effectively cleaned with machinery. The only option was to rake or blow those leaves into piles. Then either use a tarp to transport the debris to his truck or bag it all up. The job would take over 100- 50 gallon trash bags to clear the area. John was well aware of many methods relating to efficiency and production. After considering all of the products and methods on the Net and all the movements required to complete the task at hand, the idea for the Bigmouth Bagger, the leaf bagging system was developed. 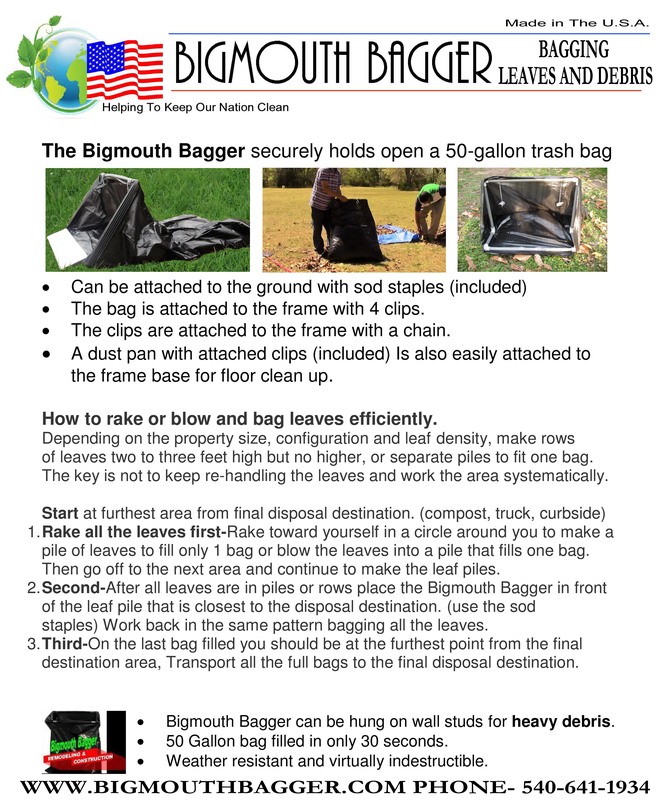 Bigmouthbagger is for 50 gallon bags and up. 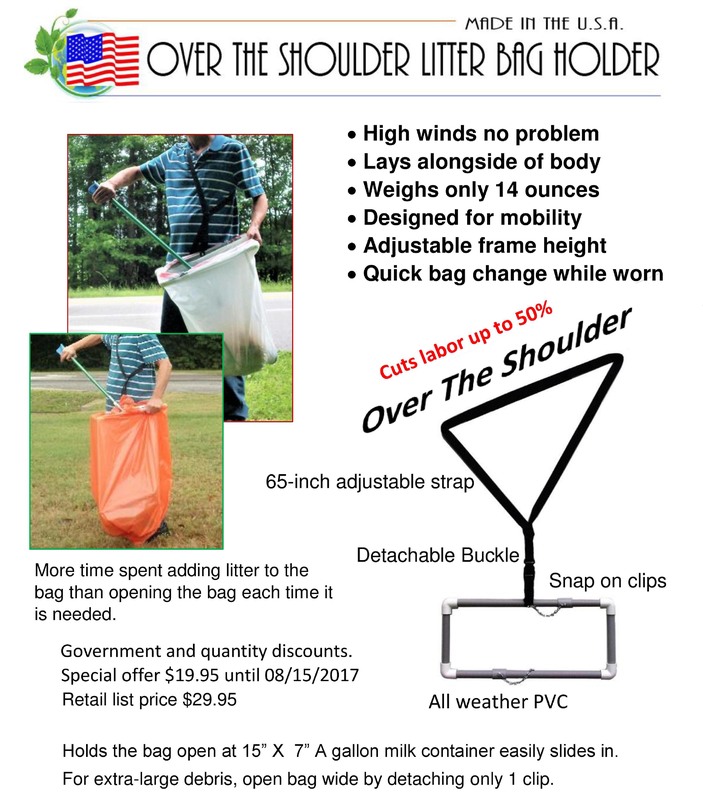 Widemouthbagger is custom made for 39 gallon Drawstring Bags and larger. © Copyright 1996 - 2018 Food Art; Garnishing Made Easy All Rights Reserved. All content including the creation and implementation of edible art. this sites design, and products within. videos, camera work and editing are all created and prepared personally by Chef. Artist, Author John V Gargone. All content is available to be shared free "non profit"to stimulate the imagination.